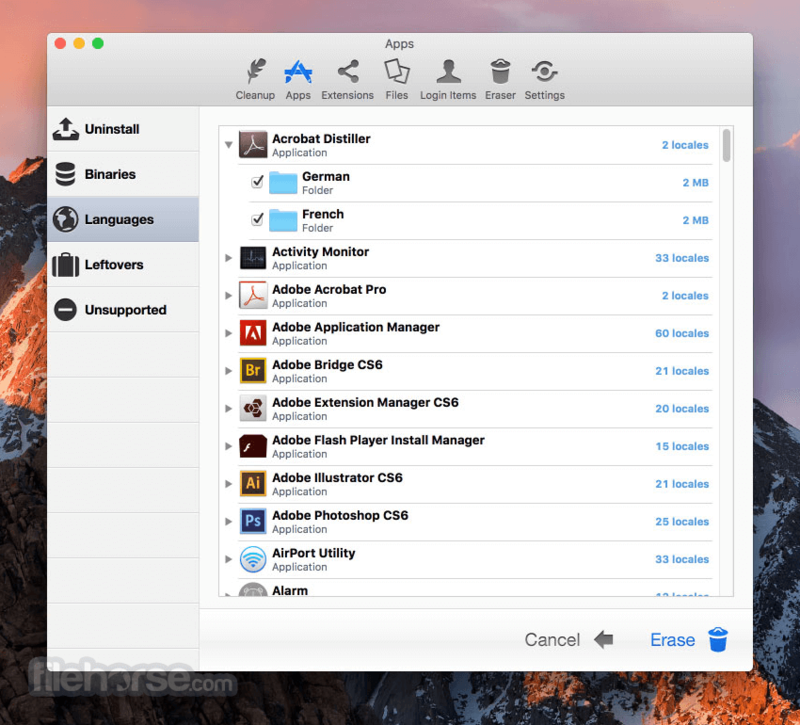 Because of this, Apps in MacCleanse are also uninstalled correctly, catching the numerous logs, caches, plugins, and other resources left behind versus simply dragging them to the Trash. Your privacy is protected and computer performance enhanced by MacCleanse as it wipes your web and app histories, and can toggle resource-hungry extensions! MacCleanse can be configured to run daily, weekly, or monthly on a recurring schedule to ensure scans are performed regularly! No schedule set? It'll still remind you once in a while! MacCleanse will prompt you to complete uninstall an app if you're incorrectly dragging it to the Trash. Specify files and folders that should never get touched during a cleanup, or files that should always be erased. 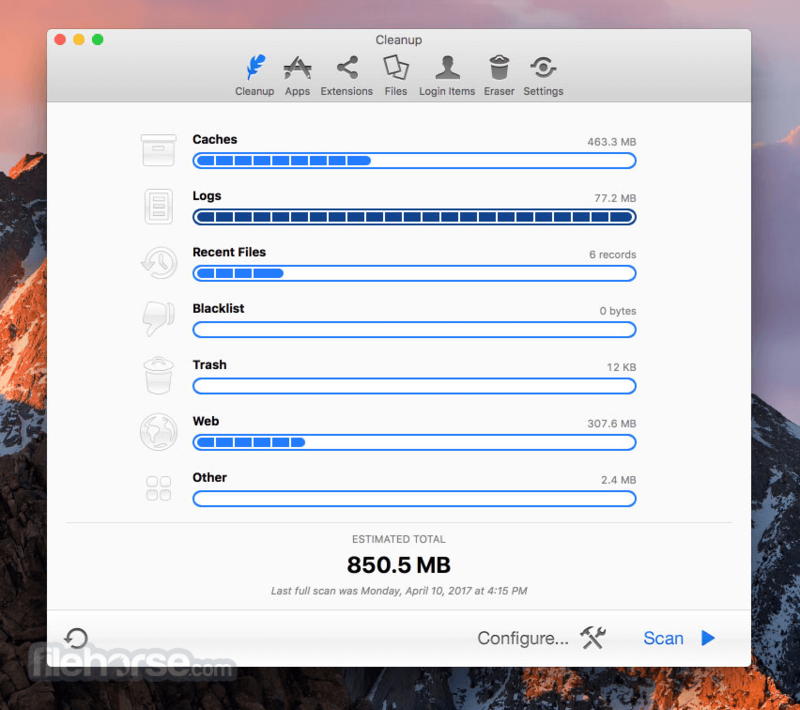 Enhanced with the security of some of the most complex algorithms in the industry, MacCleanse ensures the data you want to keep is protected from erasure, while everything else is wiped! Detailed scan results also allow you to completely review what is to be removed prior to erasure. 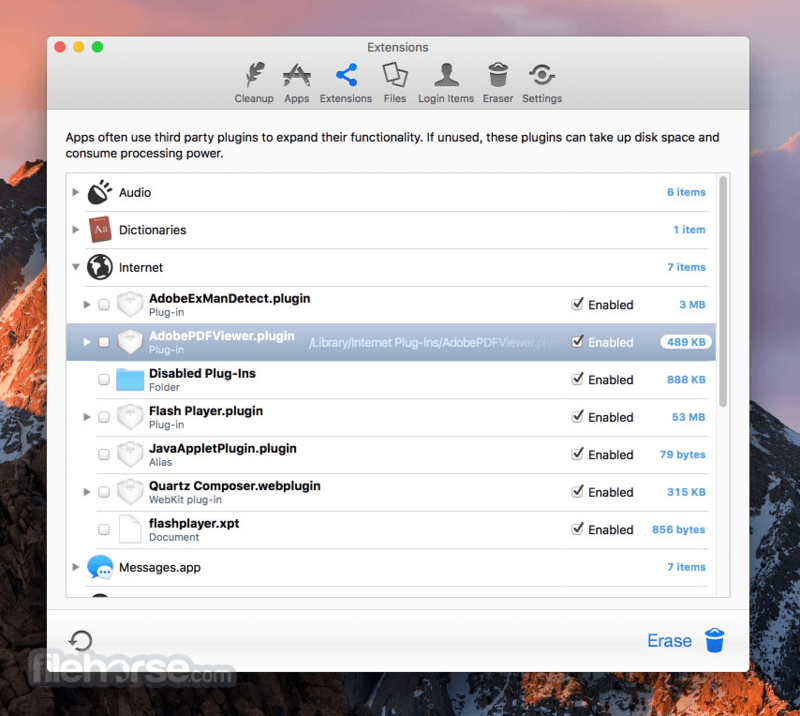 Erase app & web histories, cookies, caches, logs, and auto-fill values to both save disk space and protect your privacy. Enable or disable screen savers, web browser plugins, preference panes, login items, and system plugins on the fly; only loading them when you need them to save system resources. 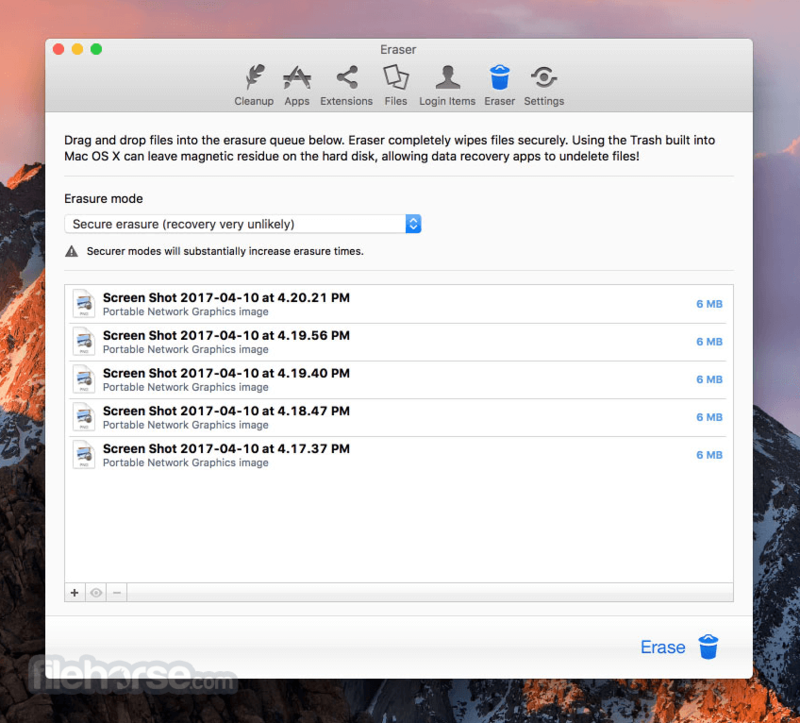 Using the most sophisticated and safe algorithm in the industry, MacCleanse can identify and flag duplicate copies of files. Identify and disable unwanted login items that could be slowing down system startup times or hogging background CPU usage. Cut the fat out of installed apps by removing unused language packs and trimming off legacy PowerPC binary data. Find junk left behind by apps that were incorrectly uninstalled in the past.